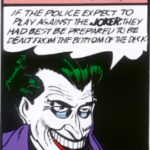 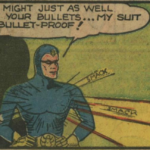 In Mystery Men Comics #10 (March 1940), the Blue Beetle reveals that his costume is actually bullet-proof. 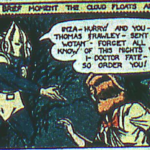 Maybe Dr. Franz, the drug store owner / sidekick who helps Dan Garret, made this happen? 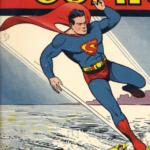 Or maybe Fox wanted to make their hero as exciting as Superman? 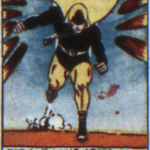 110 – The First Cross-over! 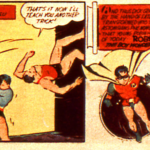 109 – Robin, the Boy Wonder! 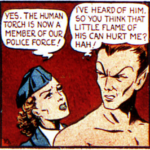 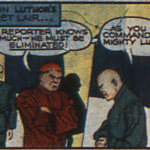 In Whiz Comics #3 (February 1940), Doctor Sivana gains a new ally, Beautia from the planet Venus. 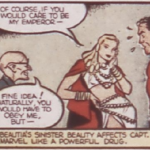 This story also marks the first time that Sivana learns that Billy Batson is Captain Marvel.